A healthy, special celebrational winter dish to serve when family and friends come together. 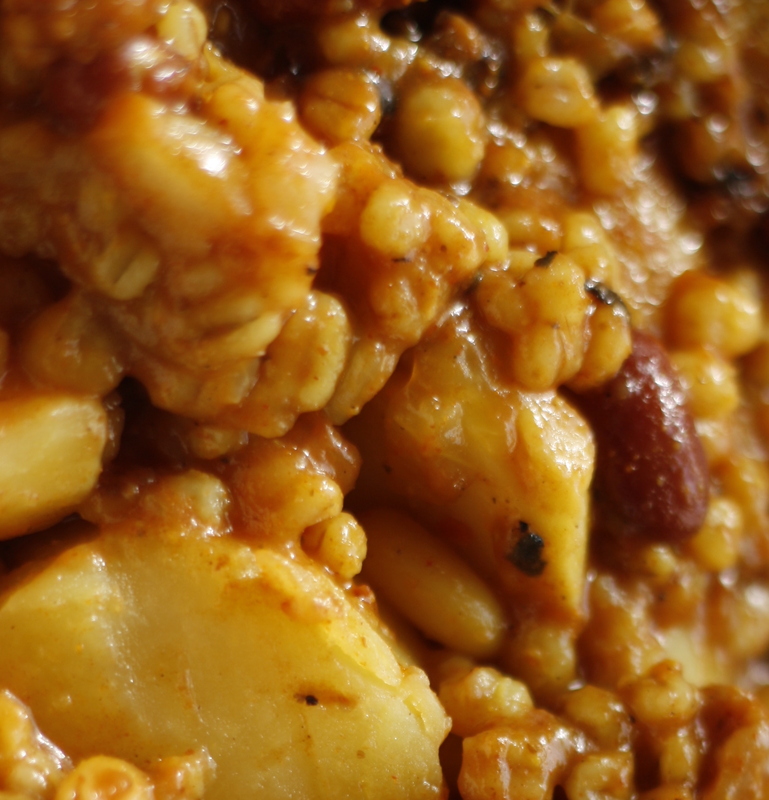 This popular comfort dish was first mentioned in 1180 in Vienna, Austria. There are many recipes for coherent and ingredients vary according to the geographic regions. Here is my vegan version. Soak the white beans and barley seeds in water overnight. Wash beans and seeds and place them in an ovenproof pot. Add to the pot the lentils, onions, potatoes, and spices. Cover the ingredients with water or vegan stock. Bring to boil and remove from heat. Stir. Remove seeds from dates and add whole dates into the pot. Cover pot and place in oven for 6-8 hours (the longer, the better), making sure there are enough liquids in the pot.